Theta Delta Chi is a social fraternity that has several names. It is called as Theta Delta, Theta, TDX and TDC. The fraternity was established in 1847 at Union College. Now, Theta Delta Chi fraternity has a lot of chapters in more than 30 universities in North America. The goal of fraternity’s members is to improve themselves intellectually, morally, and socially. Members of Theta Delta Chi suggest that this goal can be achieved only through friendship. Are you a student of Theta Delta Chi fraternity, who is going to graduate from a college soon? 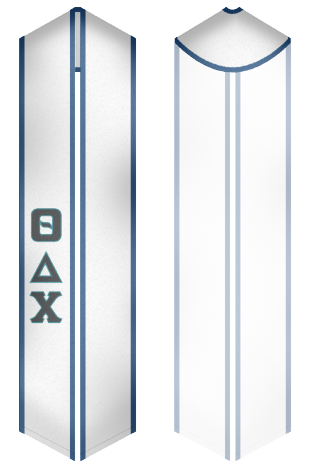 Here, you will find a lot of beautiful sashes for Theta Delta Chi!